Designed with a decorative, natural textured profile and available in a versatile, complimentary color palette, Fronterra is the perfect accent to Oaks pavers and walls. These textured blocks come in various colors in a wedge shape that adapts to straight or curved landscape designs. Fronterra curbing comes in three different patterns and colors, including Chartan, Greystone and Sandstone. 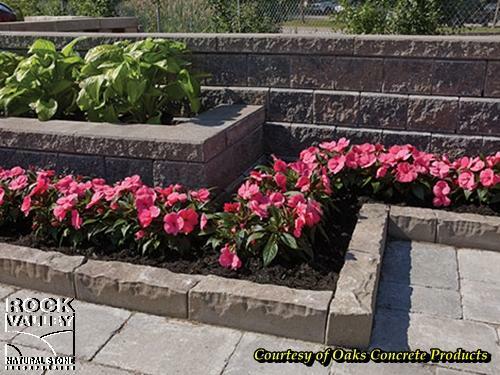 It’s just one of the many paver and wall products available from OAKS Concrete for driveways, walkways, decks and patios.